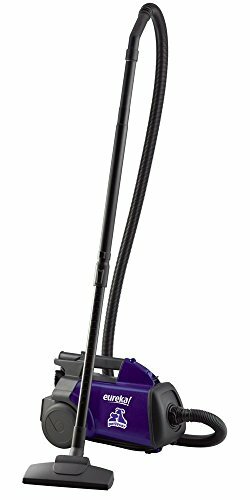 Powerful 12AMP lightweight canister vac that weighs less than 9lbs. This model is equipped with on-board cleaning tools that are great for bare floors, stairs, upholstery and area rugs. HEPA filtration which captures over 99.97% of dust and allergens down to 0.3 microns. Cleaning tools are conveniently located on top of the canister for easy storage.